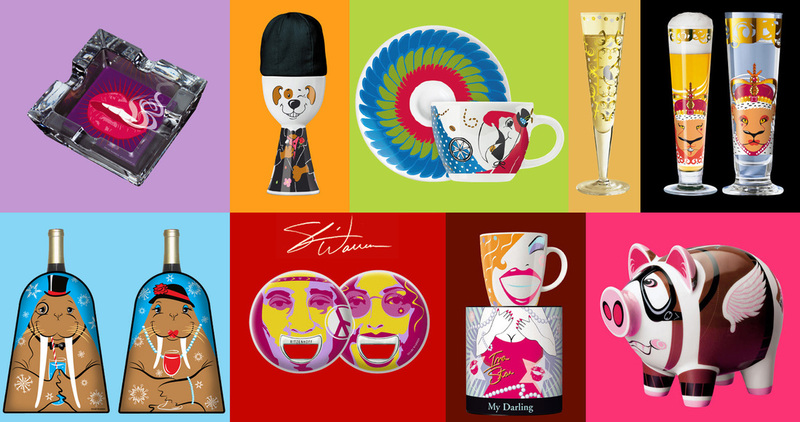 I have the great honor to license my designs to Ritzenhoff Cristal, a German manufacturing company, known for its highquality and exclusive designer giftware products sold worldwide-wide. Twice a year, Ritzenhoff introduces new Design Collections to the retail market. I love working with them as they want their designers to bring their own unique personality and whimsy to each design and delighting their customers. Here you can see my own original designs I have created for Ritzenhoff's various product lines.